By: George.Chatzigeorgiou March 20, 2019 0 Comment. 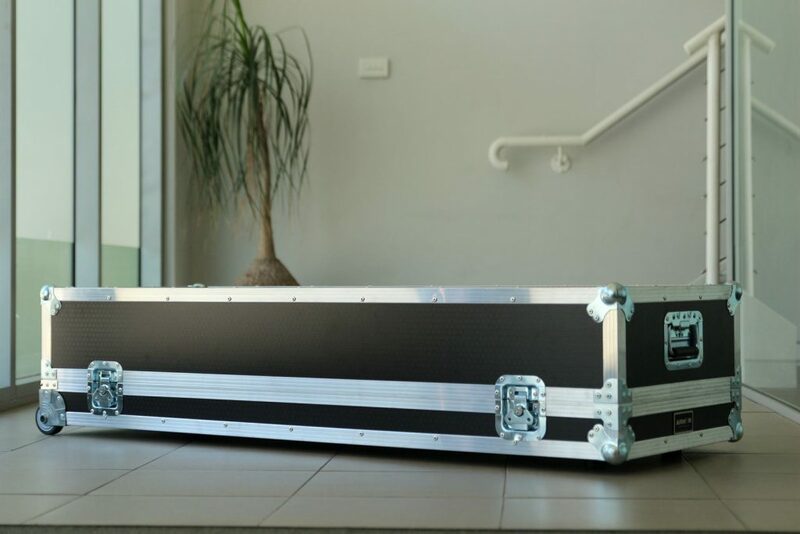 This heavy-duty road case is for 3By3 Studio for their Yamaha CP300 Stage Piano. 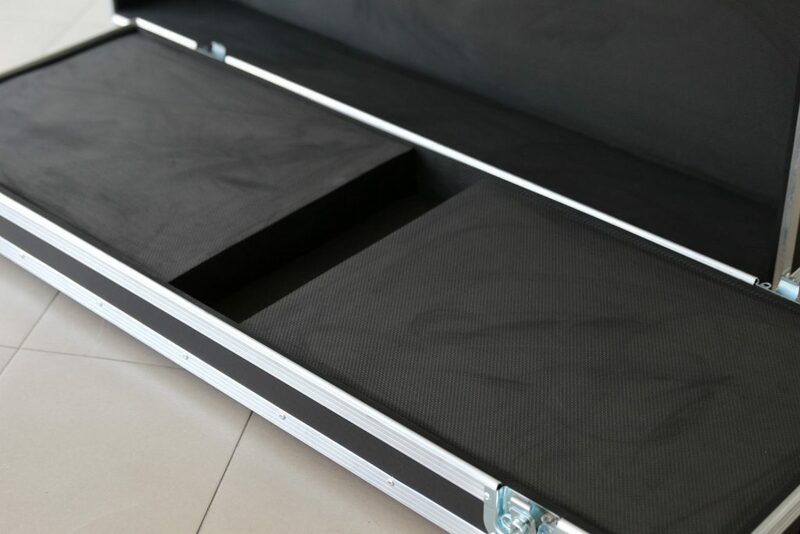 It is made out of 9mm thick plywood with black PVC finish and aluminum extrusion. The interior of the lid is lined with 10mm wide EVA foam and recessed wheels have been added for effortless mobility. 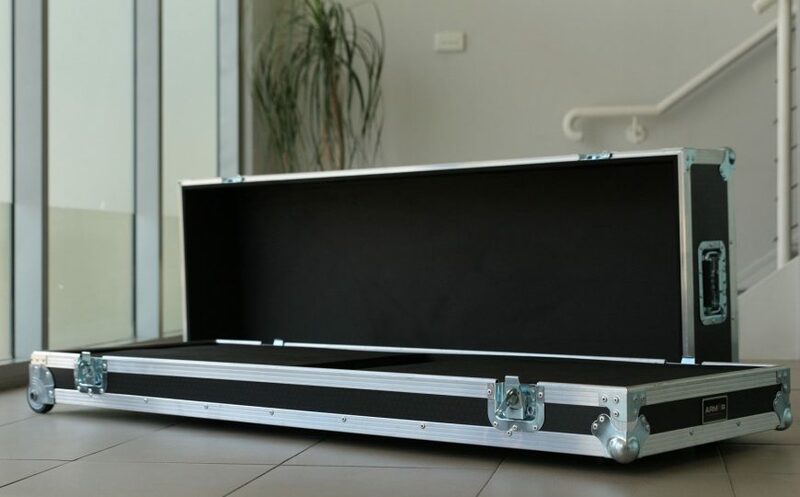 The bottom has been raised with 2 EVA foam inserts that are 75mm thick so that the piano can be removed from the case comfortably. Between the two foam pieces, we designed a storage space for accessories, such as power supply cables and paddles.